I moved to Bengaluru six months ago to start a fellowship programme. This was my first visit to Asia. I was fortunate my housing was sorted by my host organisation. Most expatriates and students who come to Bengaluru are not as lucky as they have to look for accommodation on their own. For first timers finding reasonable, quality accommodation in a good neighbourhood can be quite a challenge. Ideally, the area should be friendly, the neighbours should be good, it should be free from noise and bare necessities should be accessible. Most expats posted to Bengaluru will have a relocation agent at their disposal to assist them with the apartment hunt. In addition, a lot of multinational companies circulate internal lists of accommodation becoming available. It is not uncommon for new arrivals to take over houses and domestic staff from departing expat families within one company, but nobody is obliged to do so. For students, it’s a bit different. Karnataka alone attracts the highest share of foreign students (36.4%), according to a 2014 study. Out of the 25,000 students from different African countries studying in private and public institutions in India, an estimated 6000 are in Bengaluru alone. Finding accommodation can be a stressful experience, as they often do not know anyone in the city. For a start usually pre-departure, many use property listing services, where property owners showcase their properties online. There are plenty of property markets or small websites catering specifically to the Bangalore expat community. This process means that upon arrival,one has make sure to always visit the property before agreeing to rent. I spoke to some friends and expatriates about their experience of getting accommodation in Bengaluru. Here’s what they shared. Though there are different challenges that are faced by foreigners in finding accommodation, it is important to note that in most cases the local institutions and companies help out. For example, to curb the different challenges when it comes to finding accommodation for foreign student in Bengaluru, the Indian Council for Cultural Relations (ICCR) provides housing for the first three months. There are also many online sites that can help you find the perfect house for rent. All said and done, there are a few tips that foreign tenants in Bengaluru need to be aware of in finding good spaces to live. Deposit amount and subsequent deductions: One of the arrangements when it comes to the landlord-tenant relationship is that of the security deposit amount, which is charged by the landlords and given when the transfer of lease happens. More often than not, this amount ranges between 10-12 months rental and this amount can be negotiated to some extent. Some landlords even increase the rent and decrease the deposit amount. When finalizing on the house and giving an advance, make sure you have something in writing. As per the lease agreement, the landlord should return the amount to the tenant when the tenant vacates the house but invariably, the landlord deducts amounts from the deposit for some damage, maintenance or the other. Notice period: The notice period is always stated in the lease agreement and both the tenant and the landlord should abide by it, unless each of them comes to a mutual understanding due to the inability of one of them to find a suitable alternative. Normally, a notice period works in such a way that the tenant is supposed to pay the rent for every day till he or she vacates, in spite of giving a notice period of one or two months, as per the lease agreement. If you have given in your notice, chances are that the landlord will bring in other prospective tenants to look at the house and this is perfectly fine. Eviction: As per the Rent Control Act, tenants cannot be evicted without sufficient month’s’ notice . 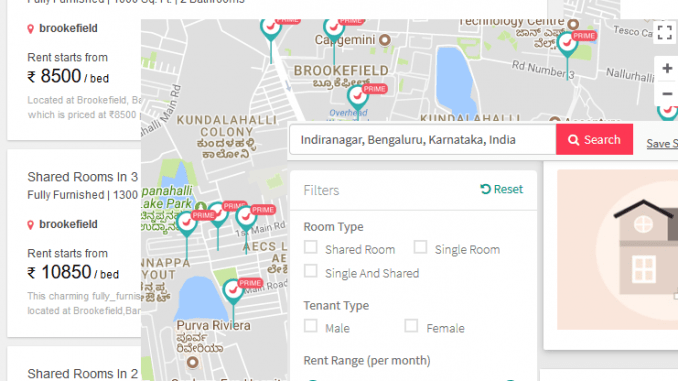 Rent: Rents in Bengaluru are relatively affordable. But for a good flat with basic amenities, the rent is significantly high. Brokers and sub-brokers: It is difficult to get access to flats without brokers, and it is important that you make your decision based on your requirements. Once you get your accommodation sorted, Bengaluru is a great place to live in. 3 crore for a villa, clean air priceless; Reality LPG subsidy procedure; Where do flowers come from? 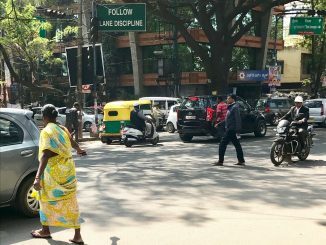 great article about life in BLR. Unfortunately, students coming in have to be super vigilant and wary…word of mouth from your own people should be valued wherever possible. insist on paying everything via cheque, ensure there is a lease and ensure your own well being/safety about terminating for reasons (voluntary)…it goes without saying – network, network network.